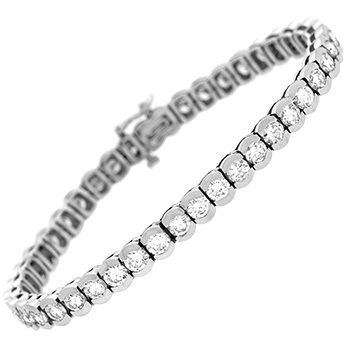 Lady's Platinum 10.83cttw Round Diamond Tennis Bracelet. 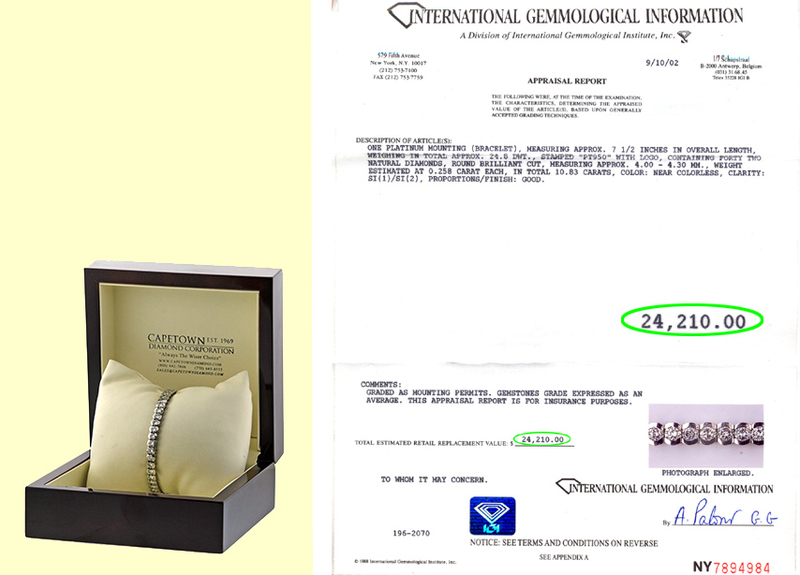 Forty-Two (42) Natural Round Brilliant-Cut Diamonds Weighing 0.258ct each (10.83cttw). 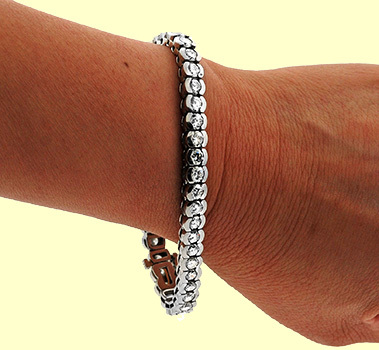 Ten Carat pieces of jewelry in platinum have always seperated the men from the boys. This beautiful piece was purchased for Howard Hughes' former wife, Terry Moore. Miss Moore is a long time client of ours. Occasionally, when she culls out some of her less used pieces, she will favor our company with a selected piece for us to sell. Always with a very minimum reserve. 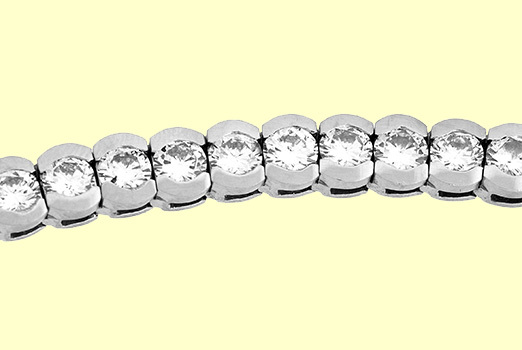 This piece was probably made by world-renowned jeweler Mr. Ernie Ikeberg of Beverly Hills. 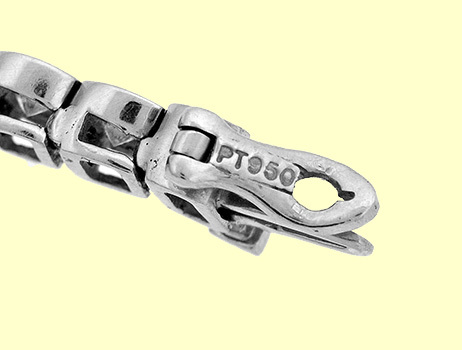 It's a very heavy platinum piece and is very, very strongly constructed to take all of life's slams and bumps. To make a long story short, it's a wrist full of diamonds for less than half of appraisal that is bound to make some woman very, very happy. Like New, Perfect Condition complete with Presentation Box & IGI Appraisal #NY7894984.